SMELL THE BREAD HAS CLOSED. Smell The Bread, A Healthy Option…. The opening of a new restaurant, bar or café in Sarasota is always an exciting event for me. What type of cuisine? What style of décor? How will the food taste? So, the May opening of Smell the Bread Café, with its promise of healthy, vegan, gluten free and organic menu items, truly piqued my interest. 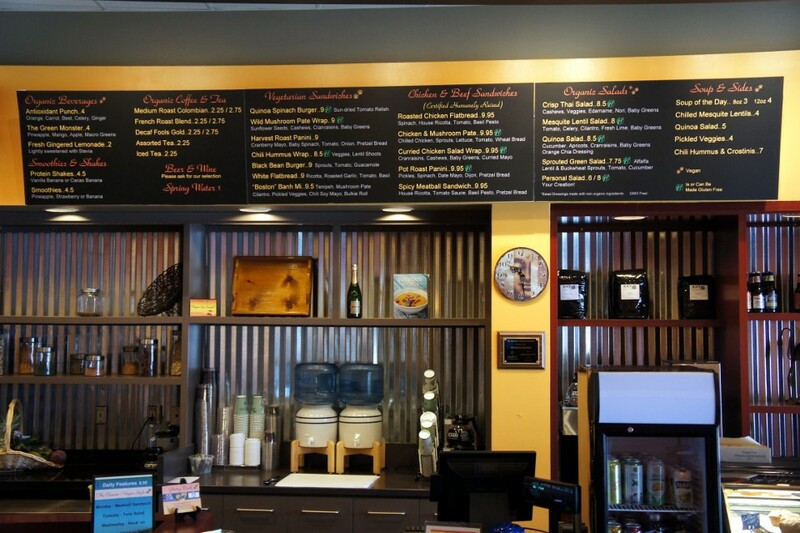 Located at 3482 Clark Road, in the Beneva Village Shops Plaza, Smell the Bread Café offers more than the traditional breakfast/lunch-spot experience. With a focus on offering healthy options for breakfast and lunch, Smell the Bread starts with quality ingredients. The breads and pastries are made on site without any animal by-products; 80% of the menu items are vegan. However, the non-vegan diner is not ignored because Smell the Bread also serves certified humane raised meats and poultry for its non-vegan items. In essence, all diners are embraced and offered high-quality ingredients as part of the dining experience. With a reasonably sized menu consisting of pastries, breads, humanely raised meats and poultry, vegan items and salads, there are many options for vegan and non-vegan diners. With the looks and texture of a lemon poppy seed scone, this item is not too sweet and the perfect accompaniment to the certified fair trade organic coffee, which is roasted by BlackGold Coffee Roasters in Venice. Sweet and sticky just the way I like my cinnamon bun. Delicious and once again the perfect companion to coffee. Some people like a sweet, almost dessert-like breakfast experience. If that describes you, then this is item is for you. A great breakfast dessert! 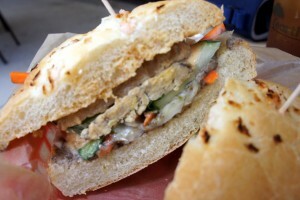 A very interesting vegan option for the classic Vietnamese sandwich. 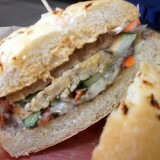 Great texture and mix of flavors; fresh and filling. This incredibly fresh salad displayed a great mixing of colors, flavors and textures with a tangy dressing. Crispy fresh! Smell the Bread Café offers beer, wine and an interesting mix of soft drinks including smoothies, protein shakes and health drinks. I tried the gingered lemonade and thought it was outstanding, cool and refreshing. 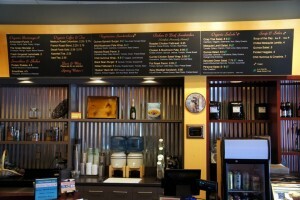 The counter service staff is very friendly, taking the time to explain the menu and ingredients where necessary. We found the wait time to be short and noticed quite a few call ahead/pick up orders while we were waiting. A great idea! 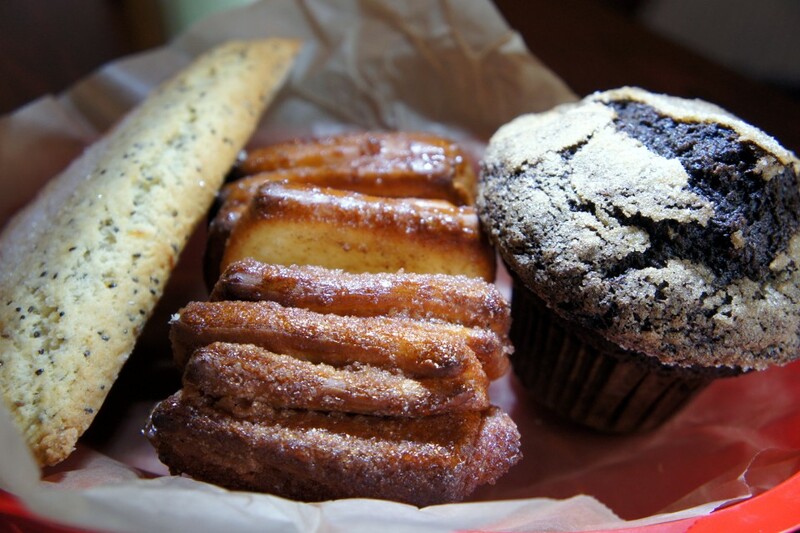 In addition to providing high-quality food, baked on site, and sourced from certified humane and local organic sources, Smell the Bread Café also offers a consistent eco-responsible program. With an emphasis on reducing waste, conserving energy and recycling whenever possible, the café is a leading example of “green business” put into action. The company offers bio-degradable containers for its food items and cleans with eco-friendly green products; a great example for others. Today’s trends toward healthy diets and organically produced food sources are at the top of many people’s minds. Smell the Bread Café is a shining example of how this trend can become more than just a unique spot to dine . It can become a mainstream option for many. 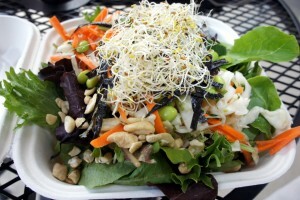 There is a distinctive scent in the Sarasota air, and it smells like healthy eating! Attention Organic Food Lovers: Smell the Bread has taken a GMO-Free Pledge!